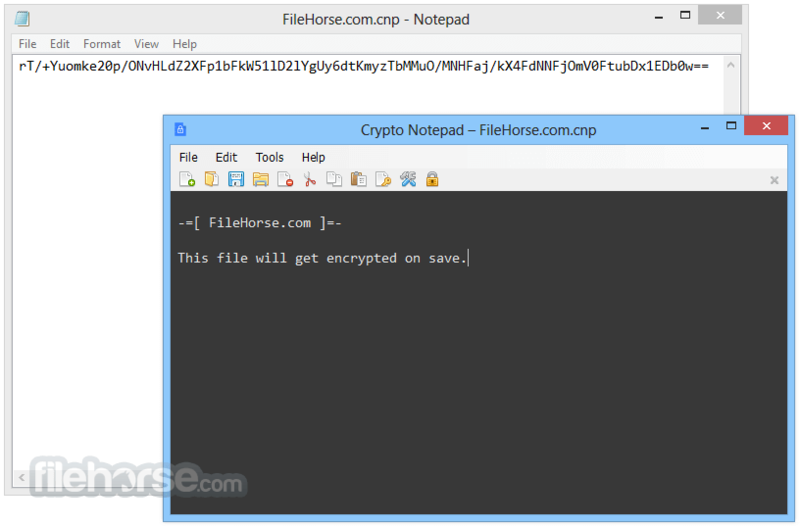 Simple text editor for Windows PC that automatically encrypts saved files! 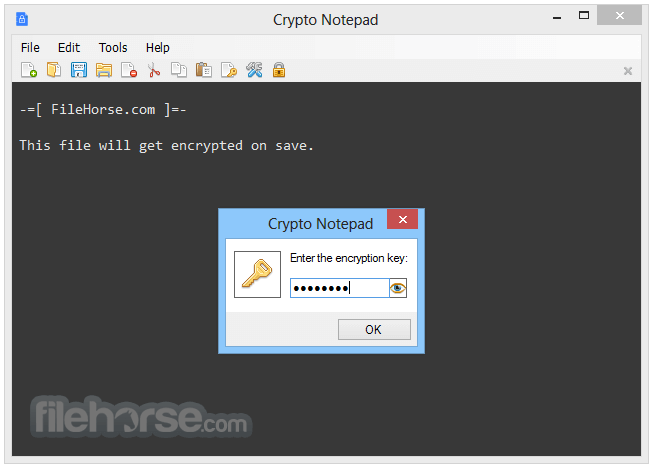 Crypto Notepad is a free and simple, notepad-like text editor for your Windows PC that encrypts saved files, where files are saved and loaded encrypted with AES algorithms. 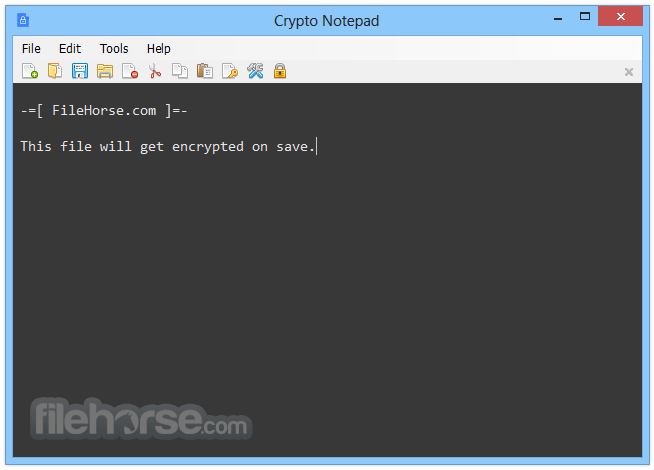 Crypto Notepad is a great free encrypted notepad software! 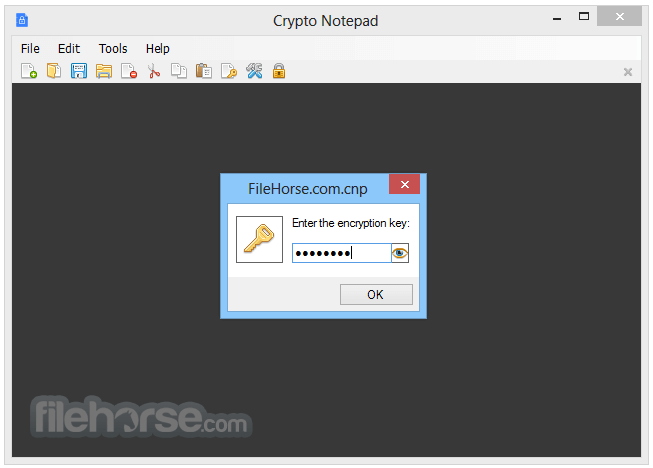 Main interface is the similar as default windows notepad. For open/save file and other actions you can use menu or toolbar. After first launch you will see a message asking you to take the salt from the MAC address, salt is using as the second encryption key. You will be able to change the salt in the settings. 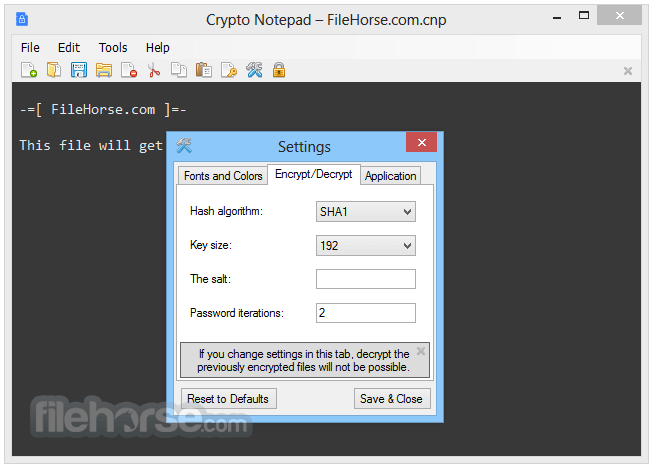 If you want decrypt your files in another PC, you need to use the same encryption parameters, this parameters also stored in Crypto Notepad.settings file, except main key that not saved anywhere.